The wedding with a view! 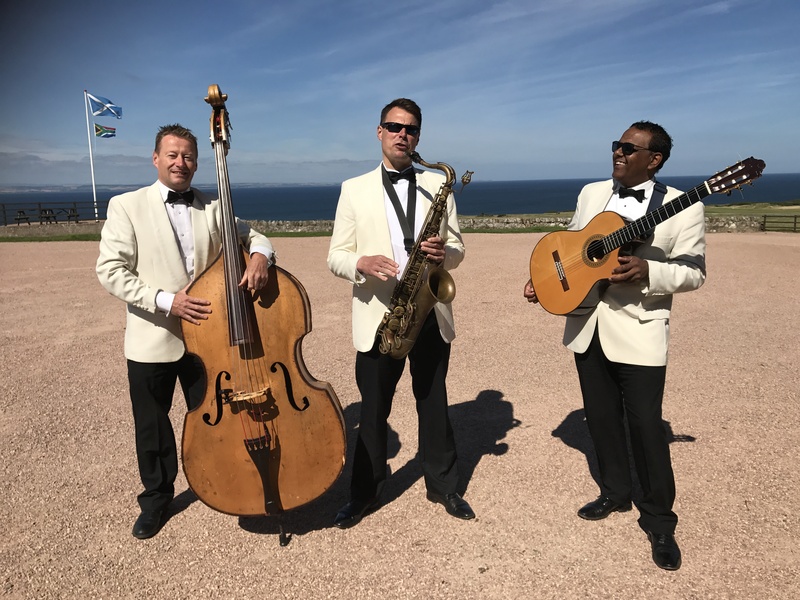 The Ritz Trio played at a wedding this week with an exceptional view looking out across the sea from Kinkell Byre, St Andrews. 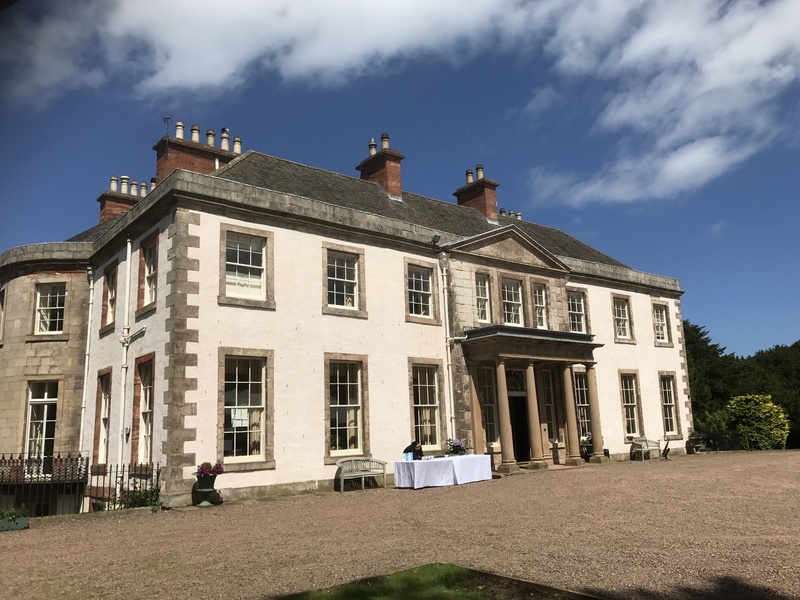 The Trio always enjoys returning to play at the Brig O’ Doon House Hotel Ayrshire, especially the band’s bass player, Andy who was himself married there last year! 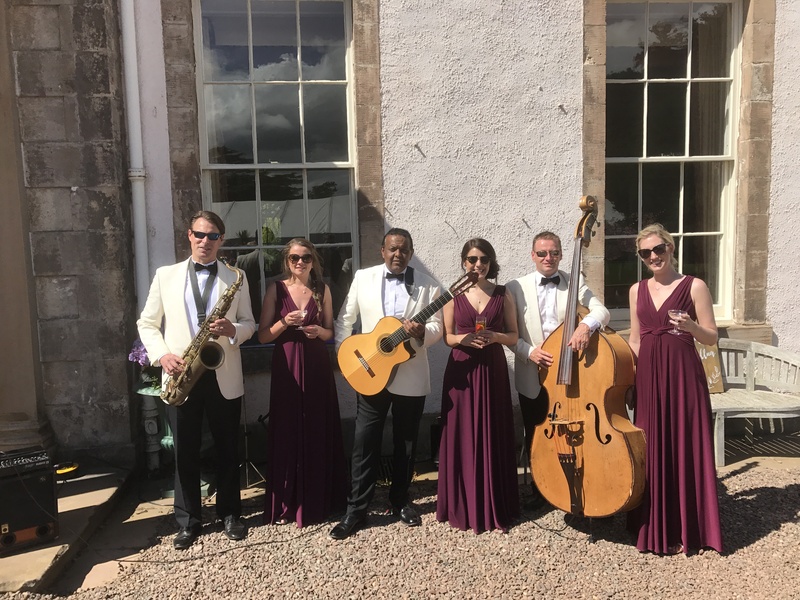 Congratulations to Rachel and Callum from the Ritz Trio! 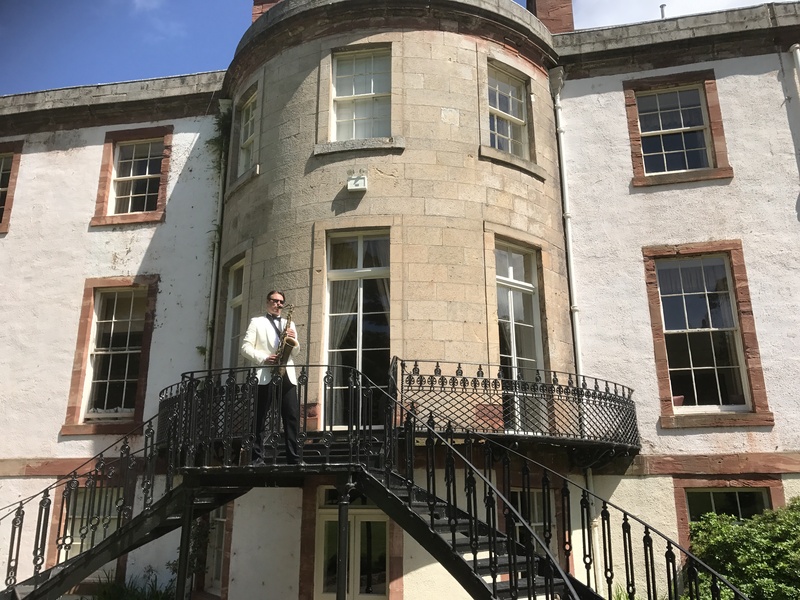 Many thanks for having us to play at such a wonderful wedding celebration at Broxmouth Park near Dunbar. 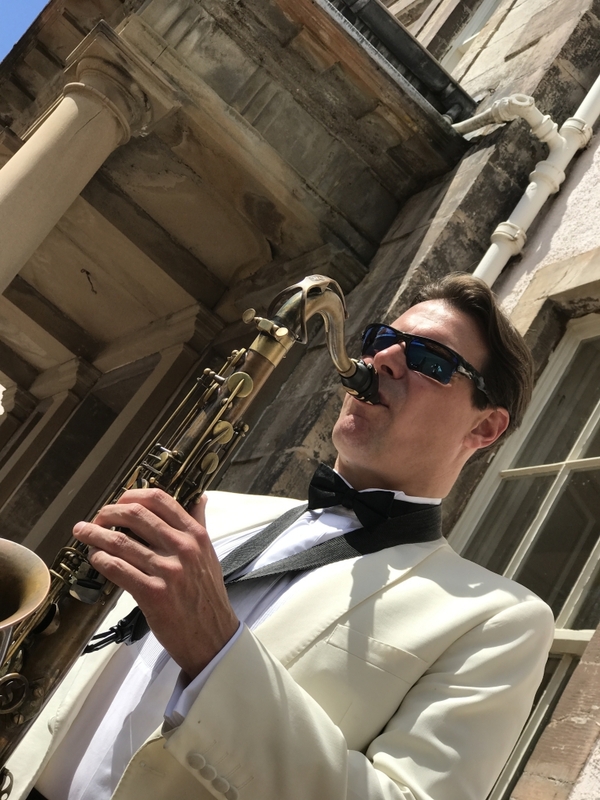 On Friday 19th May the Ritz Trio played for Smarts Works at their annual gathering and Fashion Show in Edinburgh at the George Hotel. Smart Works is a UK charity that provides high quality interview clothes, styling advice and interview training to women in need. They aim to give women the confidence, the self-belief and the practical tools they require to succeed at interview and start a new chapter of their life. 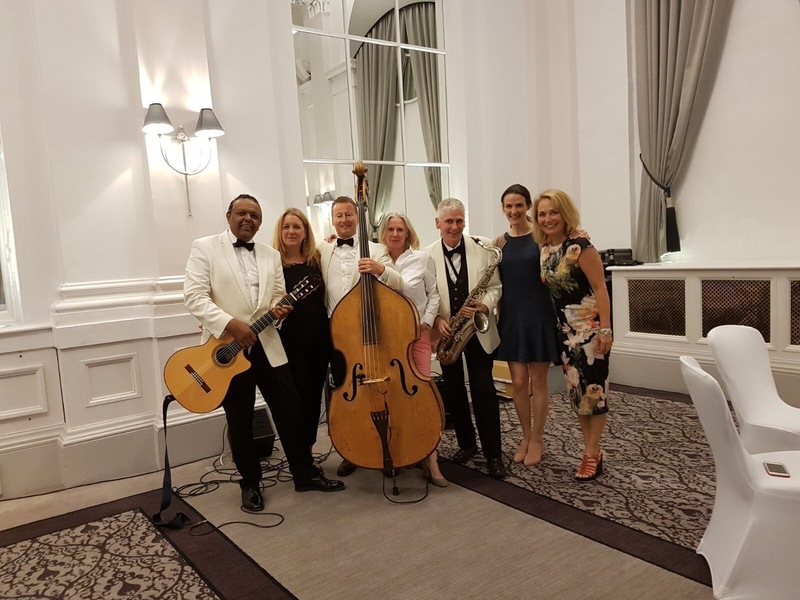 We just wanted to say a huge thank you for providing such wonderful entertainment for our event last night. The evening was a huge success for us and our clients were very impressed with the whole set-up. Once again we were extremely happy with your services and very much look forward to booking you for future events. 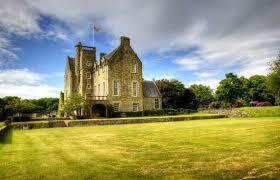 Congratulations to David and Kate on their wedding at Meldrum House Hotel last week. 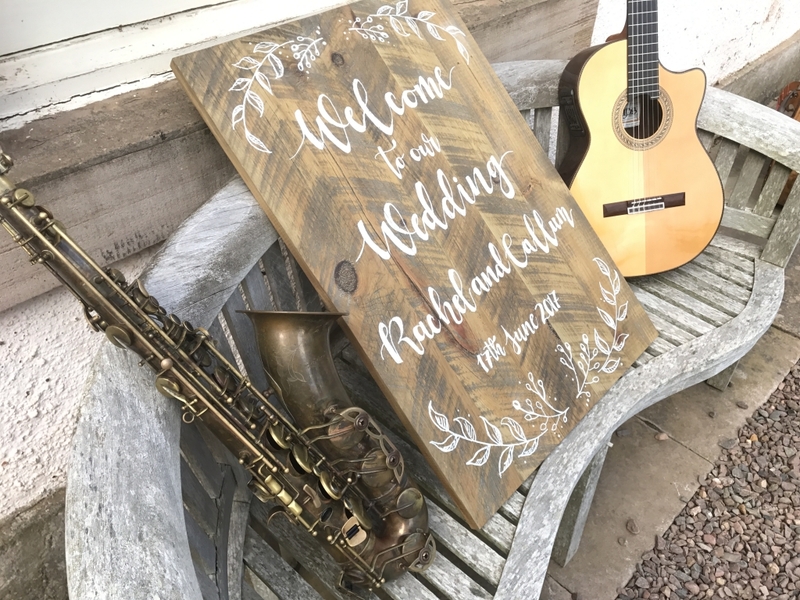 It was great to get the 2017 wedding season off to such a happy, relaxed and swinging start! The Ritz Trio where delighted to be asked to play for the opening of the newly refurbished and extended Seamill Hydro in West Kilbride. 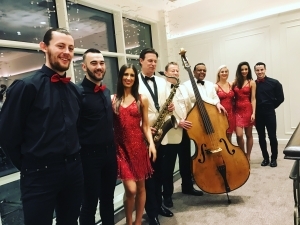 The guys look forward to performing at the Hotel later in the year! 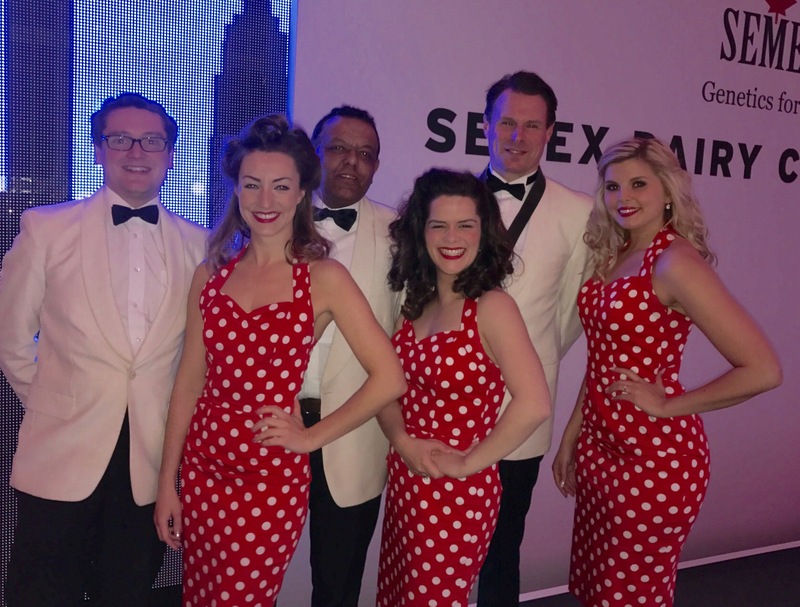 The Ritz Trio performed recently at the Semex Conference in Glasgow alongside the wonderful Nighting Gals vocal group. 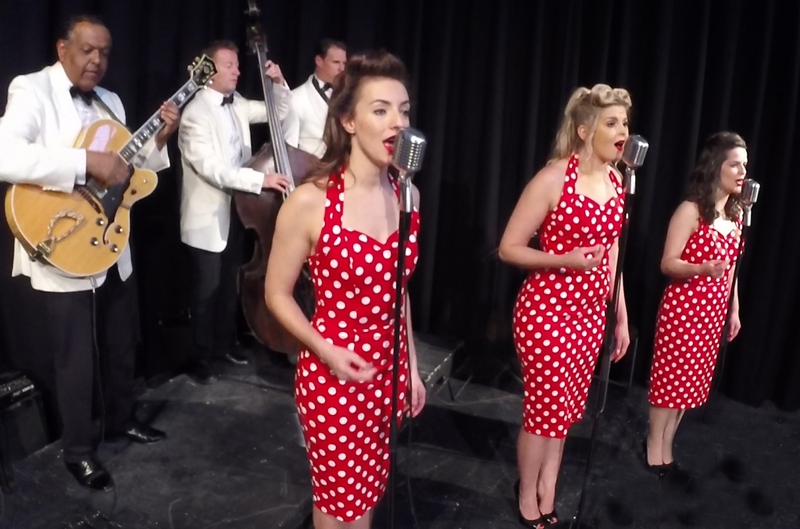 Apart from the type of tunes you might expect from a 1940s Andrews Sisters inspired close harmony singing group, the programme included a few surprise numbers from more recent years. 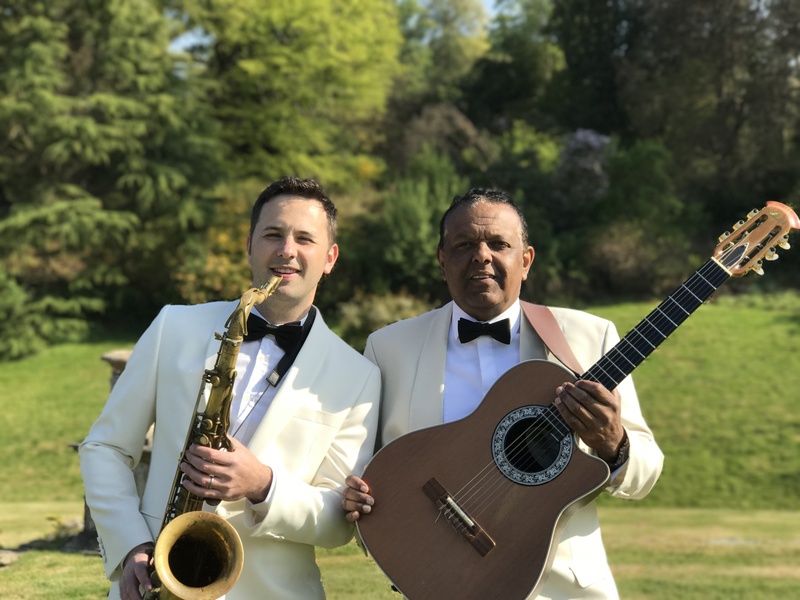 The audience definitely found the arrangements of “Hit Me Baby One More Time” by Britney Spears and “Bad Romance” a Lady Gaga number, hugely entertaining. 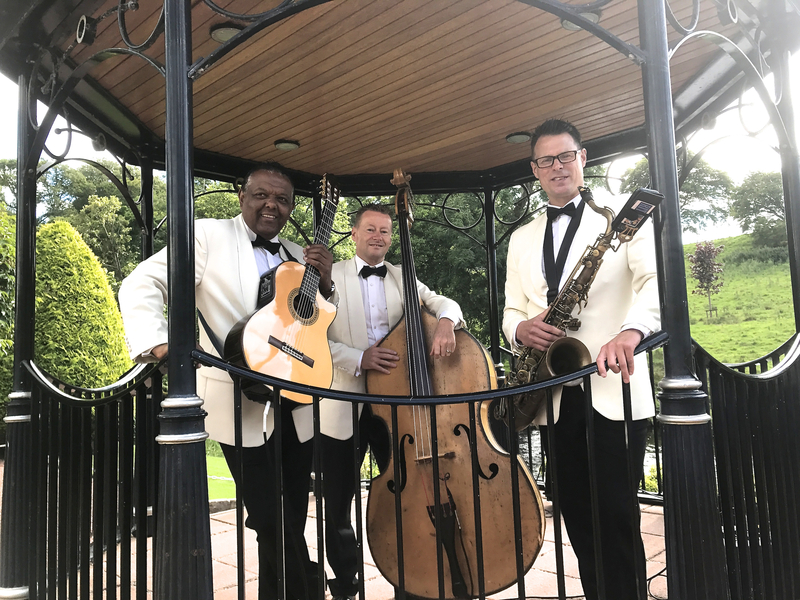 The Ritz Trio are looking forward to working again with this talented vocal harmony group during 2017! The Ritz Trio have a full programme of engagements over the Christmas period with a number of weddings and corporate events. Things kick off on Monday 19th December at the Hilton in Glasgow for the Glasgow University Student Christmas Ball. 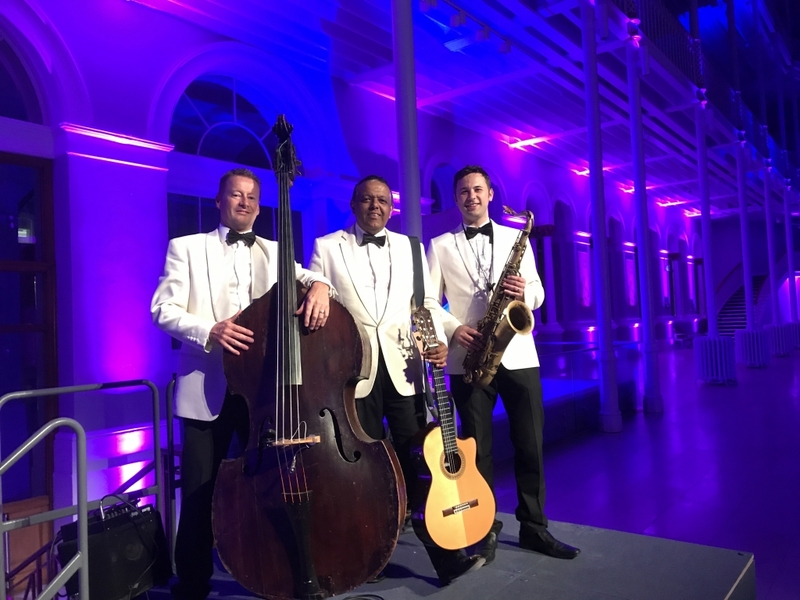 2016 has been a great year for the Ritz Trio who have performed at some sixty weddings, numerous corporate events, product launches and exhibitions. 2017 gets underway with the band’s return to the Radisson Blu Hotel Glasgow for the annual Semex Conference. The Trio, who have performed at this event for the past 7 years, will be joined in January by the Nighting Gals vocal group.